​Often overlooked in favour of other Spanish hot spots, La Coruña in the northwest of the Iberian peninsula, is the gateway to Galicia. 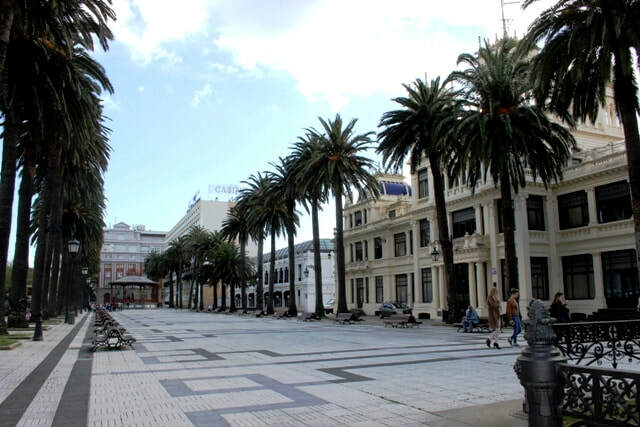 A Coruna, that’s what the locals call it, is a handsome town, proud of its traditions, brimful of history and splendid architecture and, as I discovered, it has a wealth of open spaces, parks and pristine beaches. 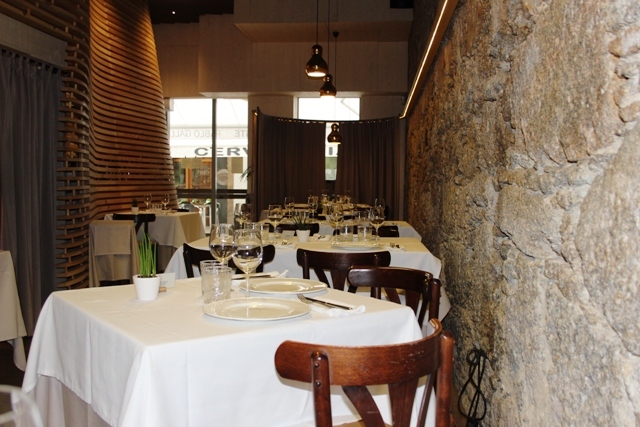 La Coruna’s other big draw is its food – it has more Michelin stars than any other Galician city. Seafood lovers will be in their element here; freshly caught fish and shellfish are abundant and prices won’t mangle your wallet. You’ll find everything from boiled octopus and stuffed squid to scallops, mussels, crayfish and shrimps which are usually fried in garlic. Grilled sardines pop up on almost every menu too and these can be enjoyed with local red wine. My tour commenced with the flourishing San Carlos Garden. 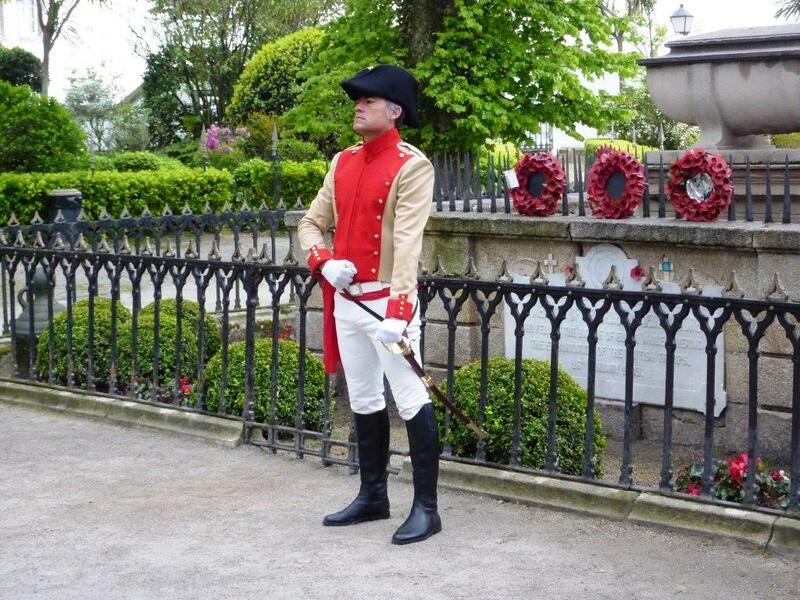 Perched on a hill just beyond the Plaza de Maria Pita, the main city square, the centre of the garden is occupied by the tomb of Lieutenant General Sir John Moore, the British commander who led his troops against Napoleon’s army in the Battle of Corunna in 1809 and died through injuries sustained in the fighting. The garden makes a good starting point for a stroll around the Ciudad Vieja or Old Town, a warren of spires and cobbled lanes. Besides a flurry of look-at-me churches, its winding alleyways hold an impressive collection of quirky shops, galleries, clusters of restaurants and tapas bars – going out for tapas is a tradition with locals here. My guide Oscar took me to Monte de San Pedro, a hilltop park with exceptional views over the city and sea, although for those who don’t want to hoof it to the top there is also a funicular railway. 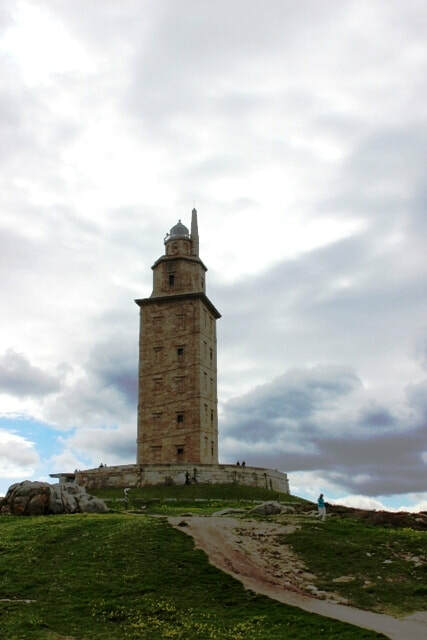 Dominating the landscape is the UNESCO listed Tower of Hercules, a lighthouse built in the first century AD. Remarkably, it is still doing what it has done since Roman times - warning ships away from the treacherous coast. Oscar proudly told me it is the oldest Roman lighthouse in use today, and later, as we climbed the seven storeys to the top - 234 steps – we watched life unfold on an antlike scale below us. 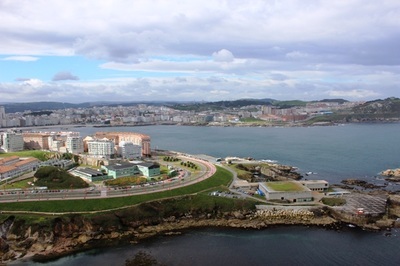 The views stretch for miles across the city and beyond to the Port of Ferrol. By then it was time to refuel so we ducked into Pablo Callego (www.pablogallego.com) where we devoured scallops, gooseneck barnacles, rock fish and fishing-net fresh hake from their tasting menu , followed by saliva- inducing, naughty chocolate cake with cheese ice cream, a local specialty. ​Afterwards we had a peek inside Picasso’s place, a second floor flat in Calle Payo Gomez where the artist lived for a few years with his family when his father was a master at the art school. The boy was 10 years old when he first arrived here and a few years later this is where he painted what is now considered one of his early masterpieces, ‘The Barefoot Girl’. It’s not hard to be inspired in this attractive city, I discovered, as it is a world away from the hustle, bustle and mass tourism we’ve come to expect of a Spanish holiday. And whether you’re a history lover, a shopper, a sports enthusiast or just a relax-on-the-beach sort, this charming port town is the perfect break. 1 Buy an authentic souvenir, there are plenty to choose between from Spanish shawls, Galician lace goods and leather ware, to articles made from Toledo steel, Lladro porcelain and wickerwork. There are some pretty good vintage markets in the old quarter too. 2 Take in one of the year round events or shows – there are many including the Mozart Festival, Comic Festival, Atlantic Jazz Festival and the 981 Music festival. 3 Strike out to visit the Castle of San Anton, formerly a huge16th-century fort. It’s where to see gold work and objects from the Megalithic Age, Bronze Age, Celtic settlements and Roman times. 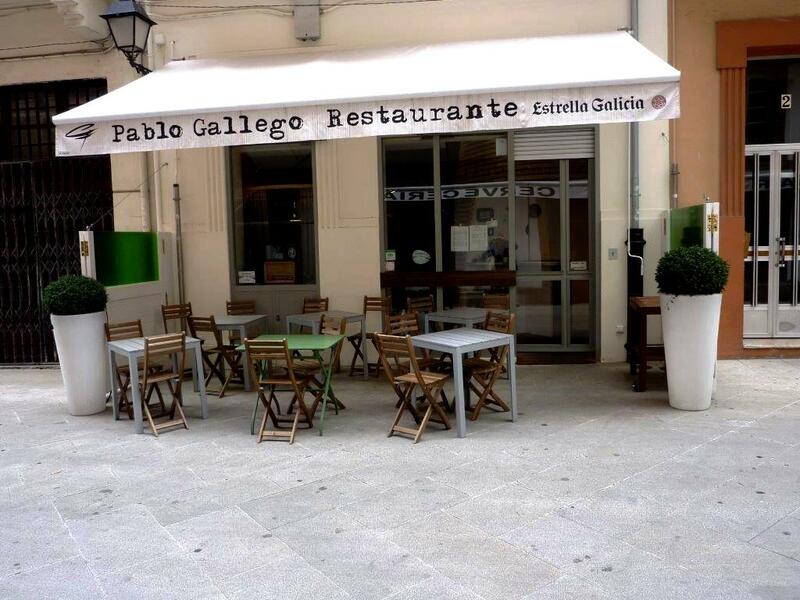 4 Be like a local and visit at least one or two tapas bars. The most popular are in the narrow streets west of Maria Pita Square. 5 Walk along the palm tree lined promenade to soak up A Coruña’s architecture, culture, atmosphere and bracing sea air. At six miles, it is Europe’s longest and is almost an outdoor gym for the locals who can be seen jogging, walking or cycling (there is a bike lane). 6 Dive into a museum. A Coruna has museums for all tastes, so whether your bag is art, clocks or archaeology, you will find one to suit you. One of the most popular is the interactive Domus Museum (House of Mankind) where anthropology, natural history and science exhibits are dedicated to the senses, heart, brain, skills and language. 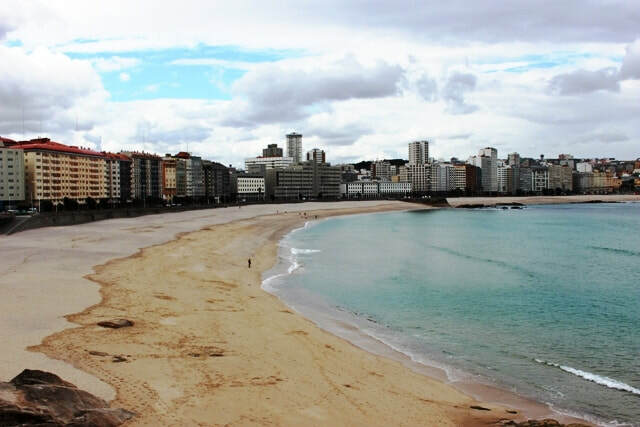 7 Relax on the sands at Playa de Riazor or Playa del Orzan, the city’s massive main, Blue Flag beaches. Both have fabulous locations, right in town. 8 Go shopping. 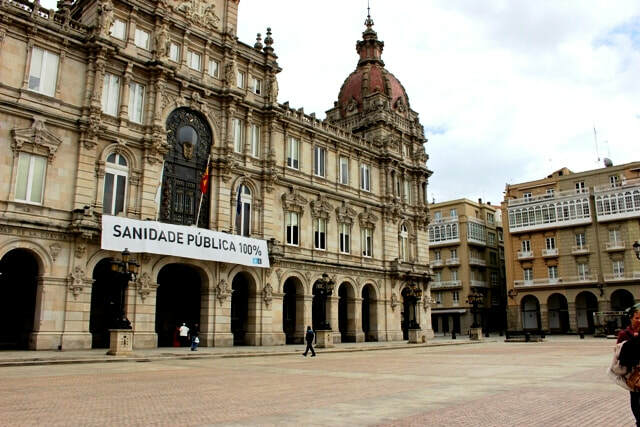 A Coruna is where global fashion chain Zara opened its first store in 1975 and its founder still lives locally. The main shopping area is at Cuatro Caminos while the lanes off Calle San Andres are hemmed with cafes and tourist shops. Some shops close for a few hours in the afternoon. HolidayExtras offers airport parking and lounges at most UK airports. Heathrow Swissport Airport Lounge at T3 from £14.99 pp; parking at Heathrow from £52 for eight days. www.holidayextras.com 0800 1313 777. Hotel Zenit Coruña: http://coruna.zenithoteles.com/en Double room with breakfast from 71 Euros pp.